We study porosities in the Mandelbrot percolation process using a notion of porosity that is based on the construction geometry. 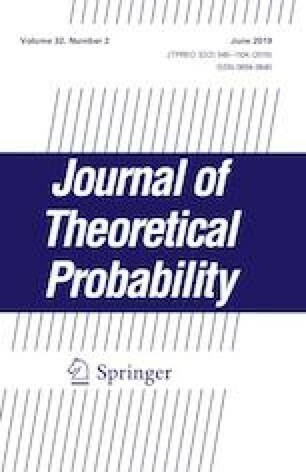 We show that, almost surely at almost all points with respect to the natural measure, the construction-based mean porosities of the set and the natural measure exist and are equal to each other for all parameter values outside of a countable exceptional set. As a corollary, we obtain that, almost surely at almost all points, the regular lower porosities of the set and the natural measure are equal to zero, whereas the regular upper porosities reach their maximum values. Artemi Berlinkov was partially supported by the Department of Mathematics at University of Jyväskylä; DFG-Graduirtenkolleg “Approximation und algorithmische Verfahren” at the University of Jena; Israel Science Foundation Grant 396/15; Center for Absorption in Science, Ministry of Immigrant Absorption, State of Israel. Esa Järvenpää acknowledges the support of the Centre of Excellence in Analysis and Dynamics Research funded by the Academy of Finland and thanks the ICERM semester program on “Dimension and Dynamics” and the Institute Mittag-Leffler program on “Fractal Geometry and Dynamics”. We thank Maarit Järvenpää for interesting discussions and many useful comments. We are also thankful to the referee for the comments and suggestions on improvement in this paper.